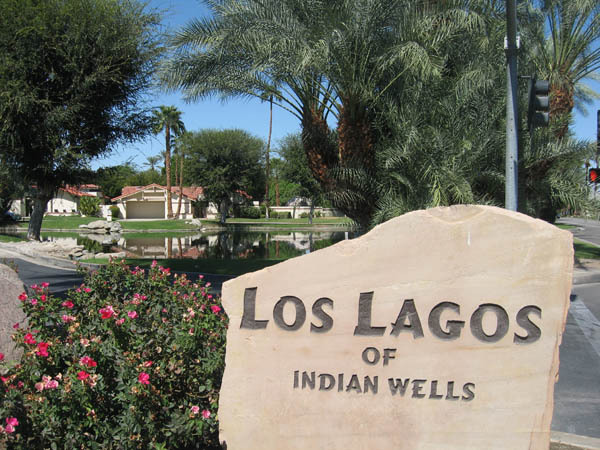 Los Lagos is one of the most beautiful communities in Indian Wells, and it is still possible to buy a home here at a very reasonable price, since prices have not yet fully come back up to the levels that they were at pre-2008, when the real estate market started a sharp decline. Prices are climbing back slowly, however, and according to a very recent article, prices are up by 20% from the lows of 2008. Los Lagos is conveniently located off Cook Street, just a block up from the shopping plaza on the corner of Cook and Highway 111. 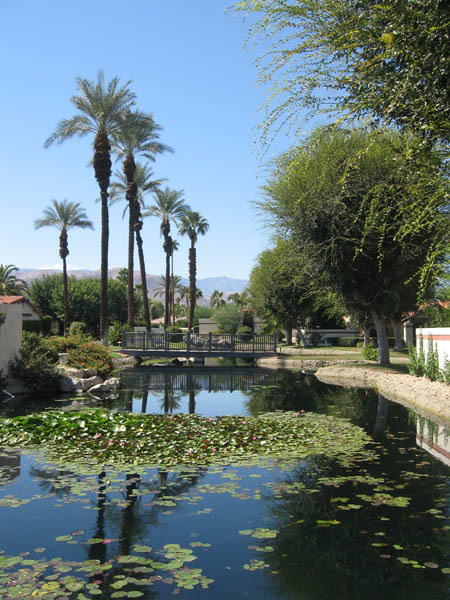 Once you enter the gates of Los Lagos, a community of only 89 single family detached residences, you are greeted with a Mediterranean fountain, and ponds with lily pads, waterways and waterfalls. 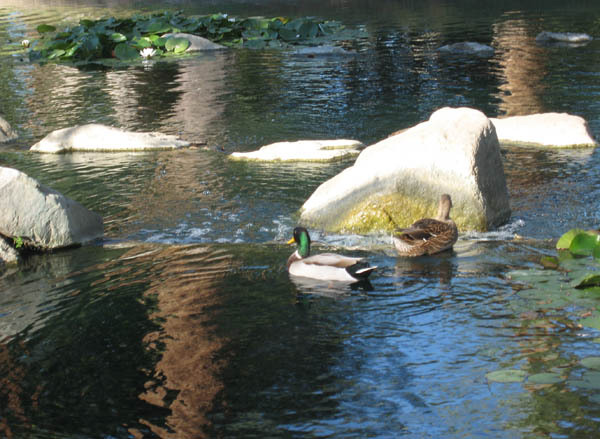 If you are a bird lover, you will love watching the ducks, egrets and herons that visit these ponds. There are plenty of hummingbirds as well! 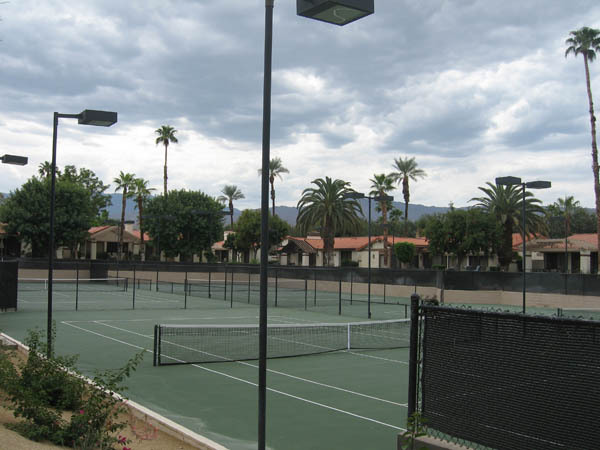 The relatively low HOA dues of around $450 covers the gate and common areas including the 4 pools, 4 spas and 4 tennis courts. The multitude of colorful flowers, mature trees including towering palm trees against a backdrop of majestic mountains provides a wonderfully luxurious sense of living in a garden oasis. 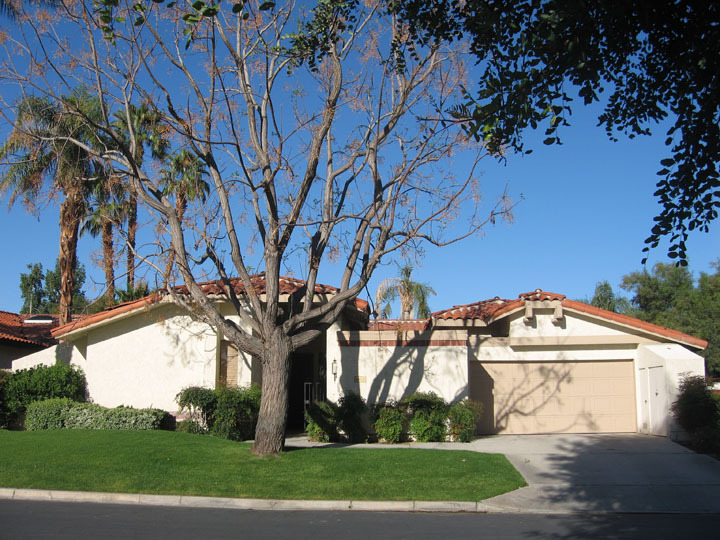 Currently, I have one listing in this lovely community that provides an opportunity to live in this coveted enclave. 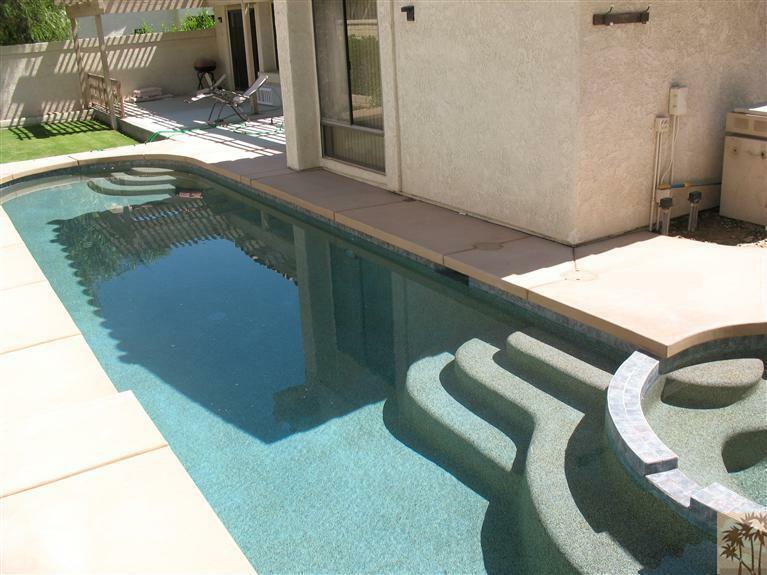 This spacious home of 2942 sq ft is offered for $549,000 and boasts its own private pool and spa, and 3 bedrooms/3 bathrooms, plus an office, an atrium, a sunken bar area and many outdoor patio areas. 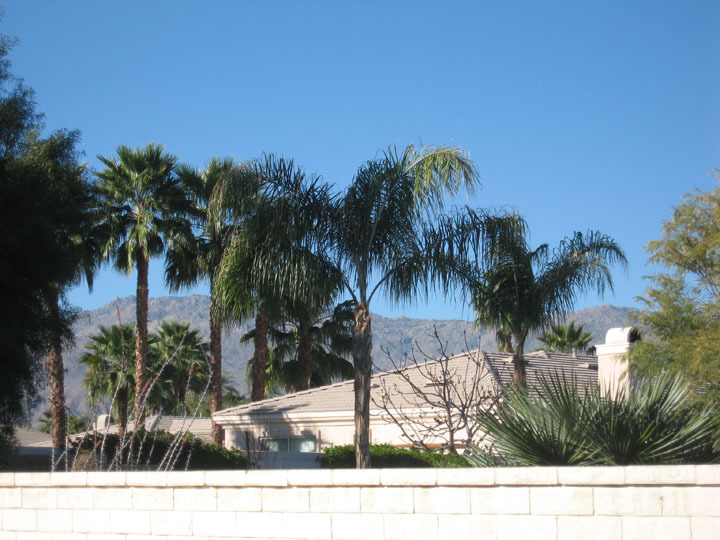 Located on a quiet cul-de-sac with wonderful mountain views framed by palm trees in the backside where the pebbletec pool and spa are. The private pool and spa is indeed very private and is surrounded by patio areas. 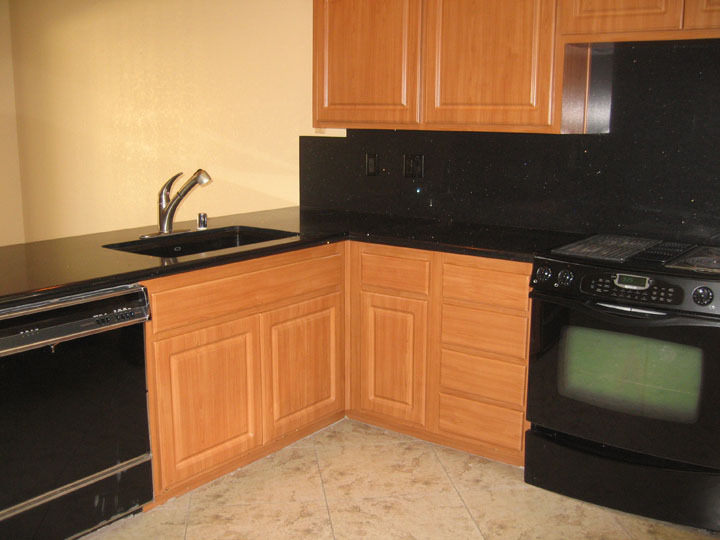 This home features a remodeled kitchen with gorgeous black and crystal caesarstone countertops and new wood cabinets with a breakfast nook area. 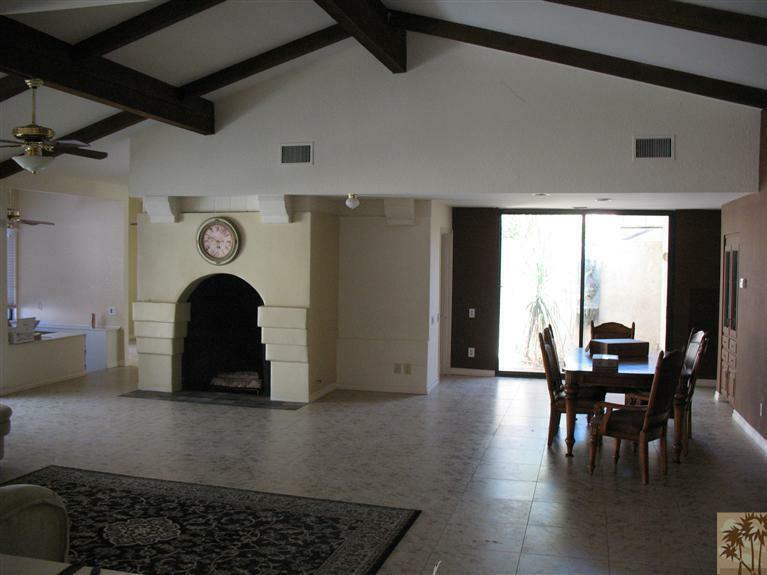 A huge fireplace in the living room adds a dramatic touch. 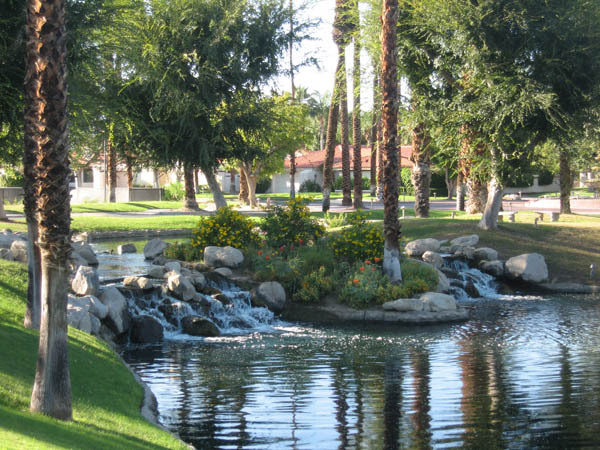 If you are a golfer, your residency in Indian Wells gives you the opportunity to play on the Indian Wells Golf Resort course for only $35, and other discounts on food and merchandise there! 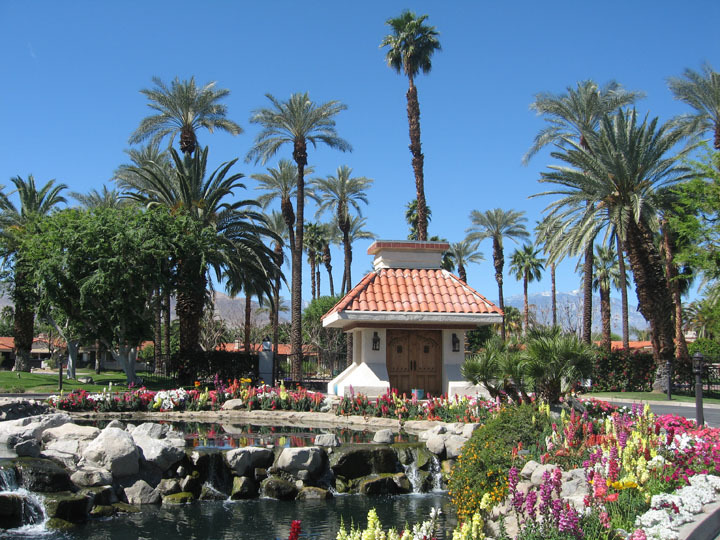 Check with the Indian Wells City Hall for all the details, including discounts at the Miramonte Resort & Spa, the Renaissance Esmeralda Resort and Spa, the Hyatt Grand Champions Resort and Spa (and complimentary use of the workout room! 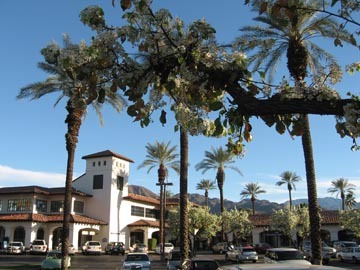 ), the Indian Wells Resort Hotel, and more! 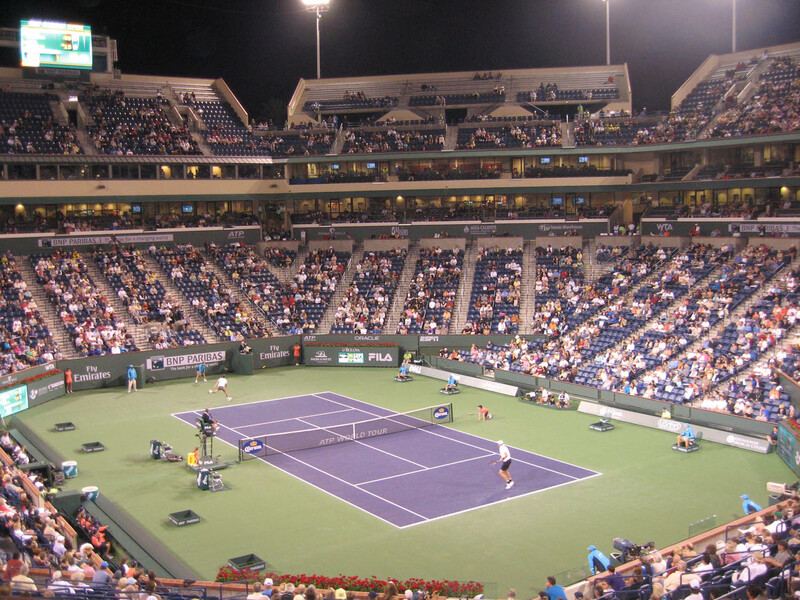 If you love tennis, as an Indian Wells resident you can submit a request for free tickets to the tournaments at the world famous Indian Wells Tennis Garden, and may get lucky enough to enjoy the suite with complimentary food and beverages while you watch tennis champions such as Federer and Nadal compete for the grand prize! 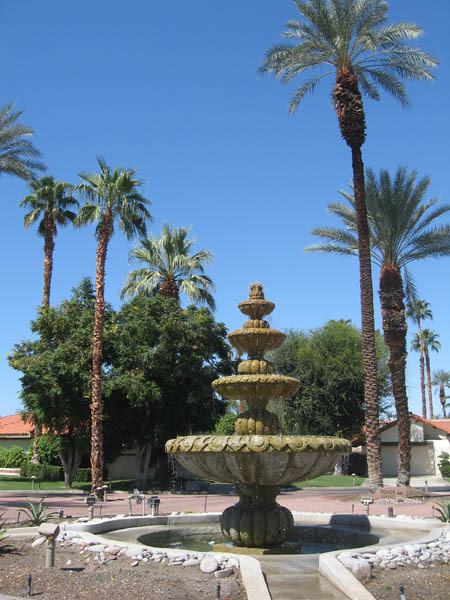 In summary, Los Lagos offers the best of the desert lifestyle to its residents, including the serenity of living in a veritable oasis surrounded by mature trees and colorful flowers, with beautiful mountains off in the distance. 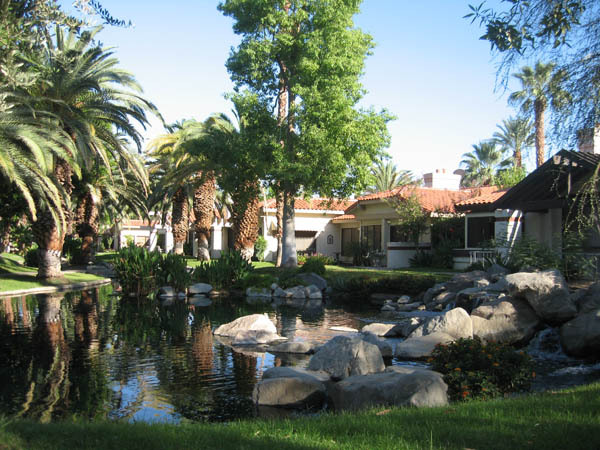 For more details about these properties and others in Indian Wells, please contact me at 760-587-6009 or wendysdesert@gmail.com.